Artematica combines high-technology with formal simplicity to create a truly versatile kitchen. Valcucine’s technical innovation has produced the first-ever single-block door fabricated from dematerialised layered laminate which is affixed to an aluminium structural frame. This enables a wide range of surface materials (from layered wood-laminate to lacquered MDF and glass) and colours to be used to personalise any design. 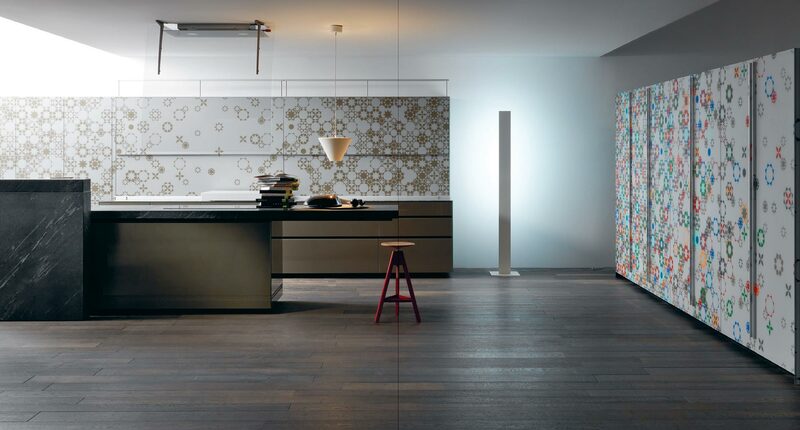 Furthermore, you can create unique elements with Artematica Vitrum, a proprietary system which enables you to literally inject your personality into recycled glass panels with customised designs and other visual materials.